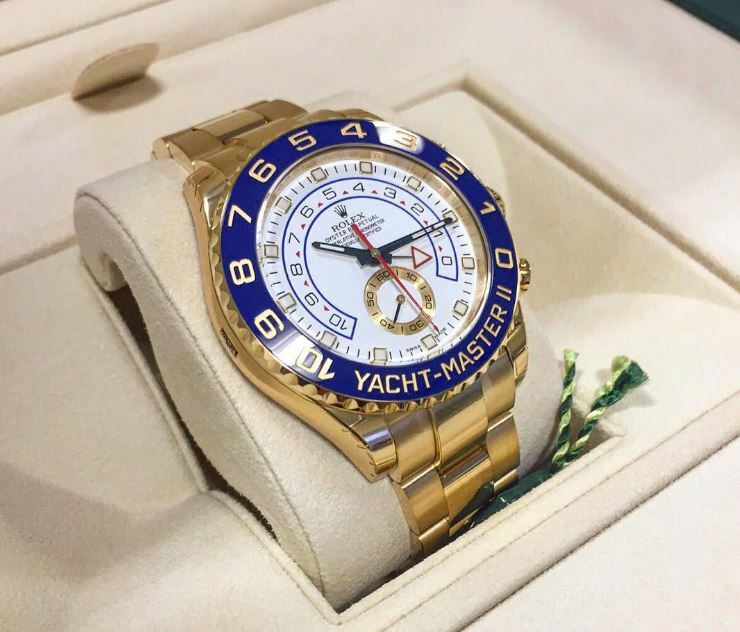 No words can describe the quality and looks of the Rolex Yacht-Master 2 Gold. That is why we included a lot of photos along the detailed description. 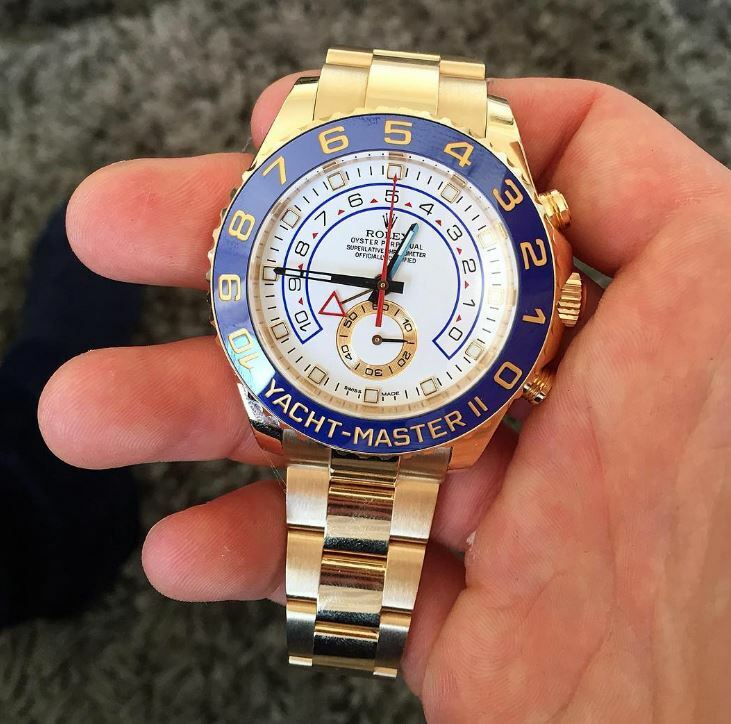 There is no enigma today that only those who have a lot of money can afford a Rolex. 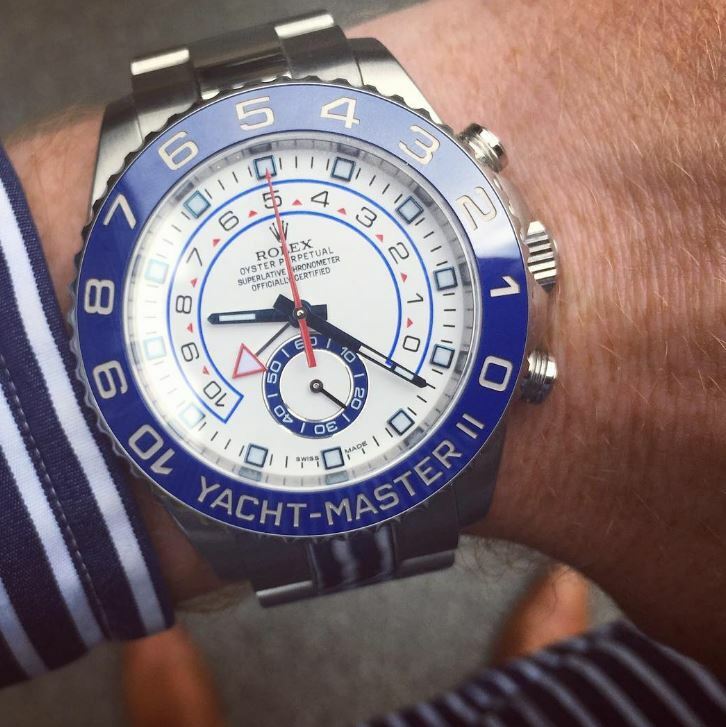 And this statement is even more relevant when it comes to the Rolex Yacht-Master 2. 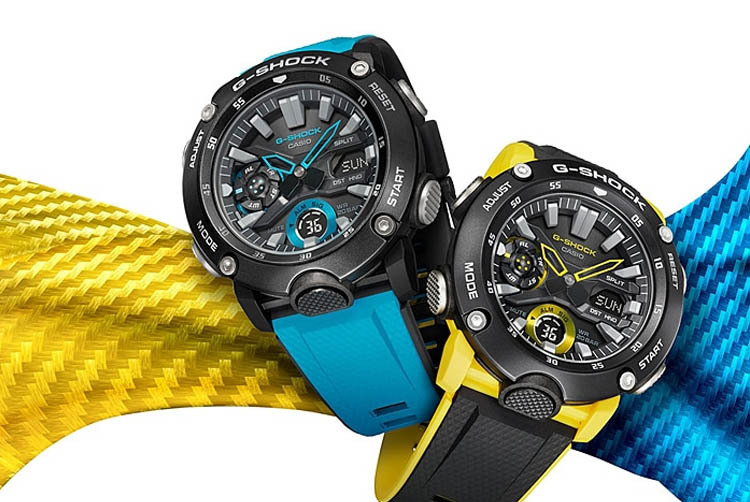 This is anything but a watch like the rest. This is a piece of jewelry, a long-term investment. 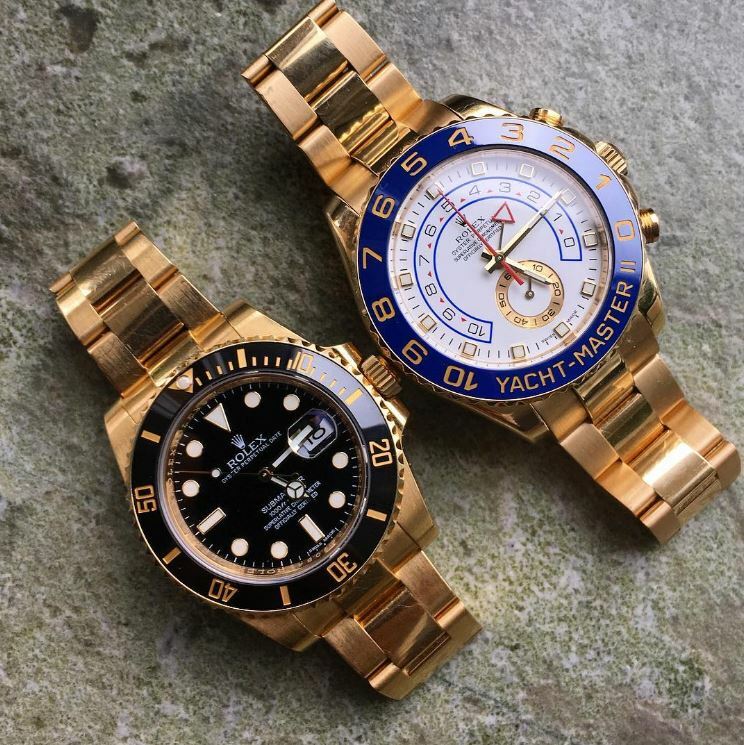 Rolexes are known to be a way to store your wealth. 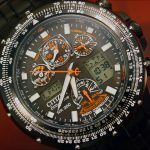 Since it is no longer safe to keep all of your eggs in one nest, many people rely on alternative ways to invest their money, like real estate, government bonds, and why not, Rolex watches. 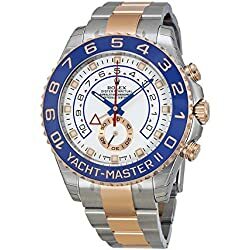 Since only the master of a yacht can use this Rolex at its true value, it features what is called as a Regatta Timer (the watch itself is also called a Regatta Timer). 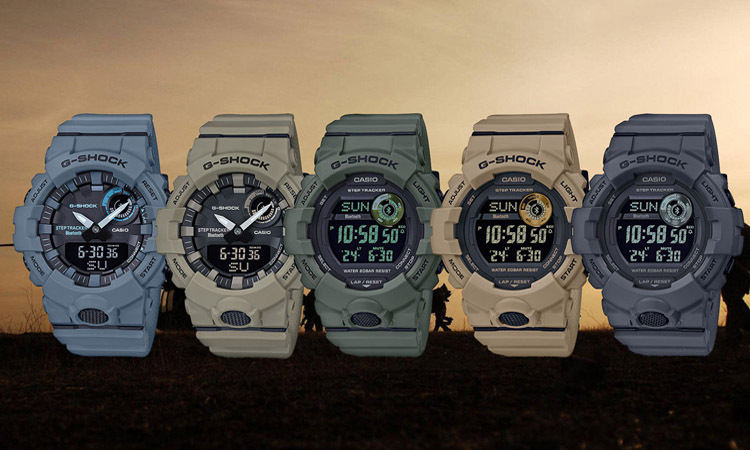 Which basically equivalates with a countdown timer ranging from 1 to 10 minutes. 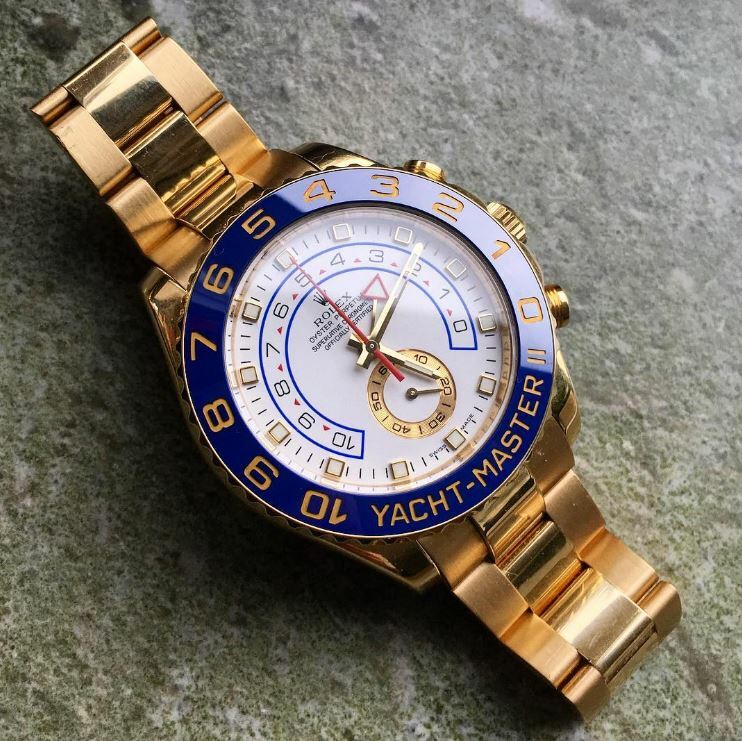 This feature was designed for regatta races for you to action through the Command Bezel as Rolex calls it at the moment when you hear the signal that starts the race. A nice function is that you can readjust the timer if you started too early or too late. 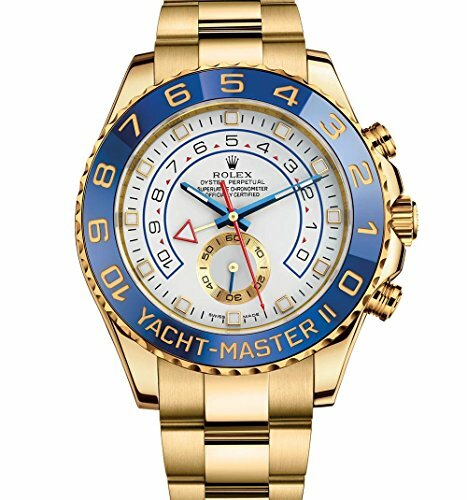 The Rolex Yacht-Master 2 is a representation of what a true luxury watch should look and feel like. 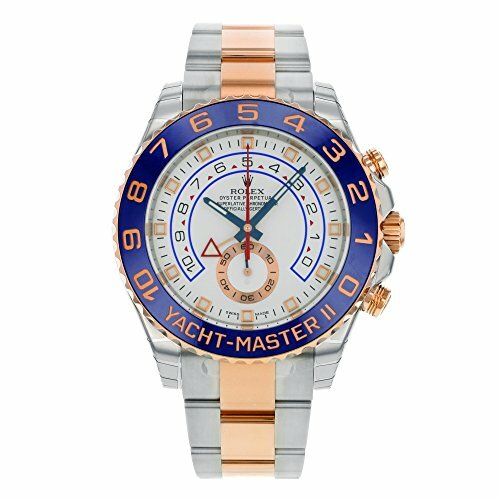 Its case made of gold, stainless steel heavy yellow gold or platinum (depending on the model) is one of the finest quality there is. 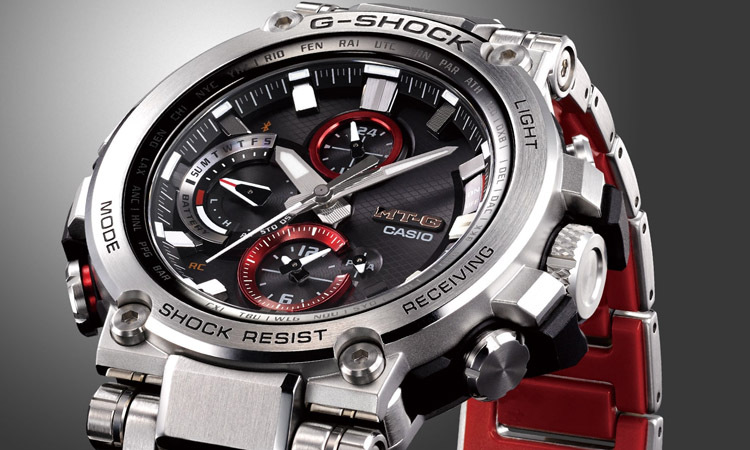 At 44 mm this is definitely a big watch. 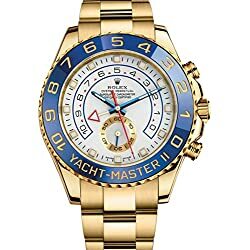 The weight is more or less well distributed across its surface although when we are talking about the heavy gold version the watch is feeling considerably weightier on the wrist. 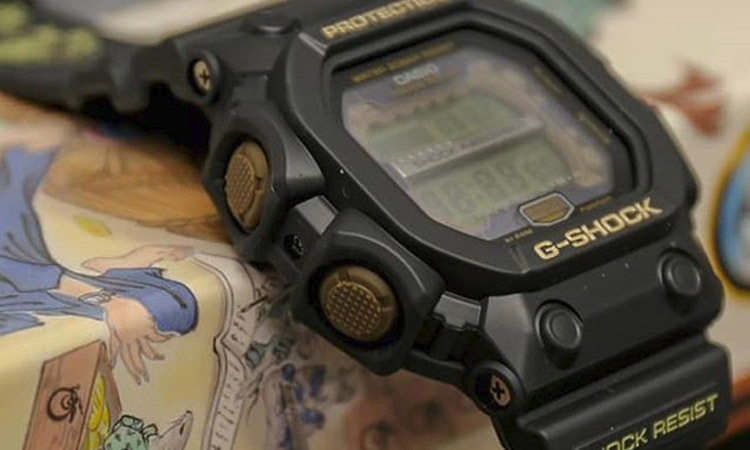 This is an opulent watch. You can expect people to turn their heads and ask you about it. I can hear very clearly those annoying questions from family members and friends: “Is this a replica or the real deal?”. The answer always surprises and it can surely be a conversation starter. 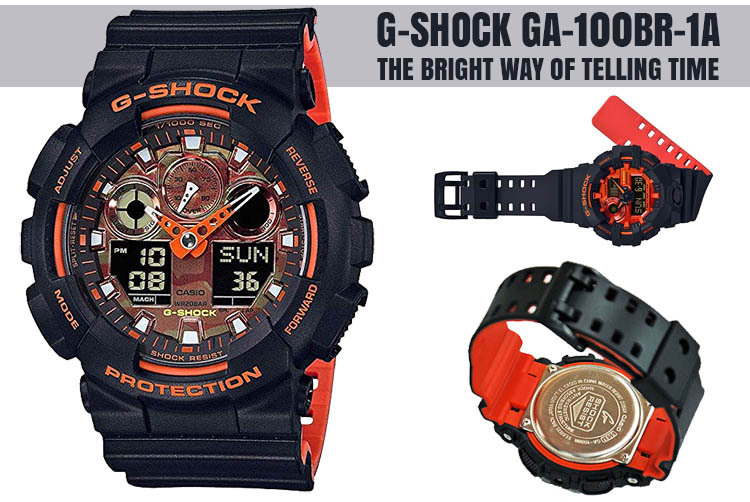 Deciding to buy this watch is not a matter of truly pragmatic decisions. 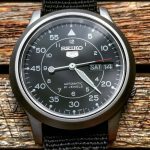 If you want to be completely rational in any of your purchases you will most probably always stick to a Seiko or a Casio. 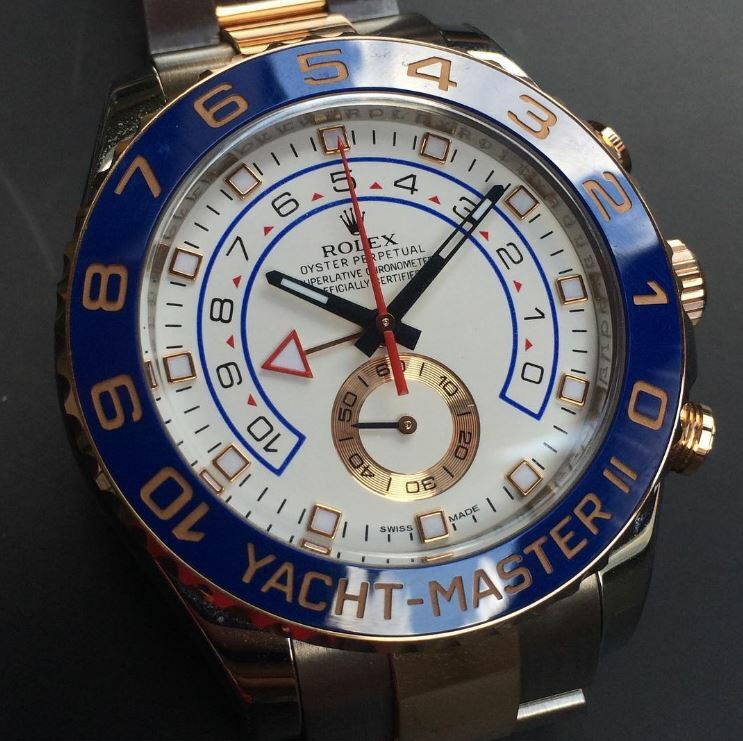 But if you want to take part in the full luxury watch experience you can’t miss the Rolex Yacht-Master 2. Sometimes in life not everything reduces to logic. That is why we have what we call emotions. 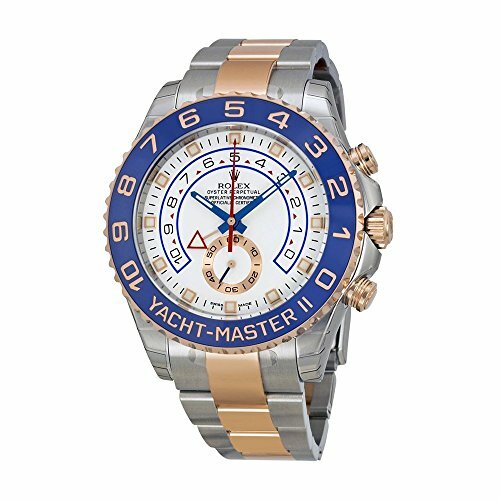 The Yach-Master is the definition of expressed emotions combined with professionalism and top of the line craftsmanship. 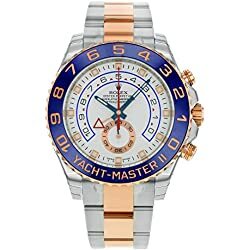 Is the price tag on this watch worth it? I certainly don’t think it is me who should judge that. Only the final customer can decide that. 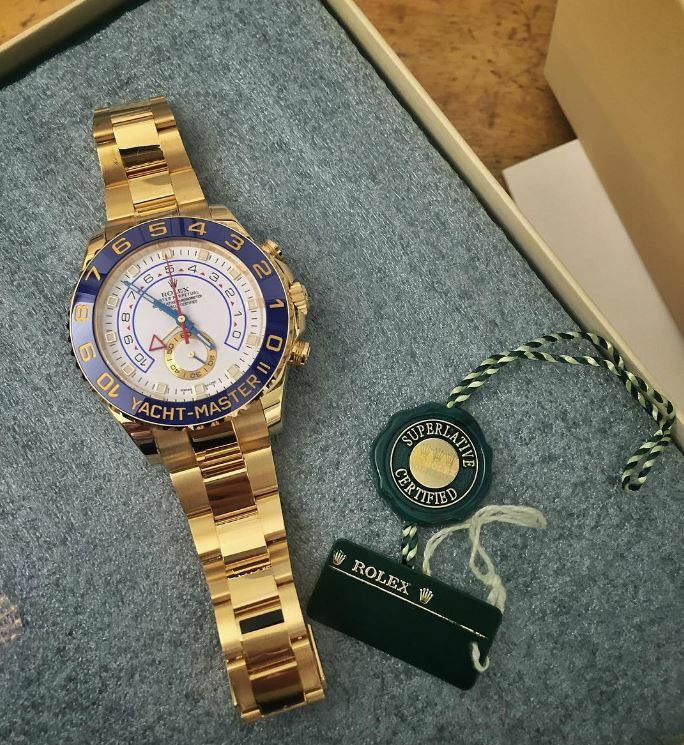 But what I can say is that if you are more about the prestige and quality a Rolex can always represent a good choice. 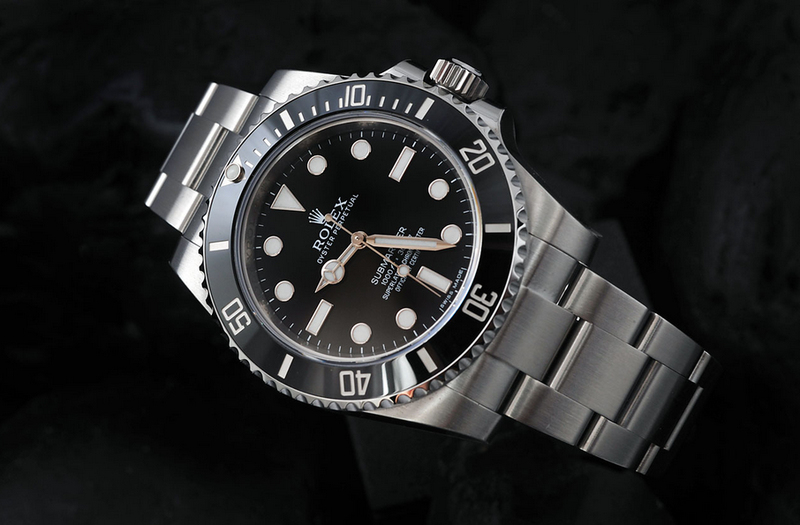 Check out our Rolex Submariner Review.